Got $25? Then you can afford a bunch of comics at this weekend's Toronto Comic Arts Festival. 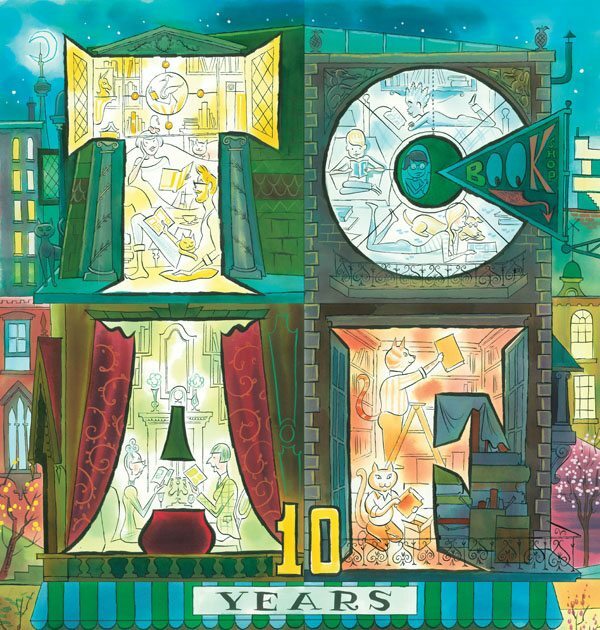 Saturday, May 11; 9 a.m.–5 p.m.
Sunday, May 12; 11 a.m.–5 p.m.
One of the joys of the Toronto Comic Arts Festival is the way it allows visitors to buy work from a lot of different cartoonists. It’s good to go with a specific budget in mind, otherwise the spending can quickly get out of hand. At TCAF 2013 this weekend, here’s what we’d buy if we had $25 to spend. An page from Georgia Webber’s DUMB #1. Image courtesy of Georgia Webber. Webber, a Montreal-based cartoonist, grew up on Toronto’s Ward Island, and has been making comics for a few years now. TCAF 2013 marks the launch of her most significant project to date: DUMB. She’ll be selling copies at the Colosse table. Like many cartoonists, Webber funded her project with an Indiegogo campaign, and it quickly exceeded its goals. DUMB tells an autobiographical story. In it, Webber suffers an ailment that restricts her speaking to 15 minutes a day. Comics explore the interplay between words and images, so this should be good subject matter for the form. Webber is planning four instalments. 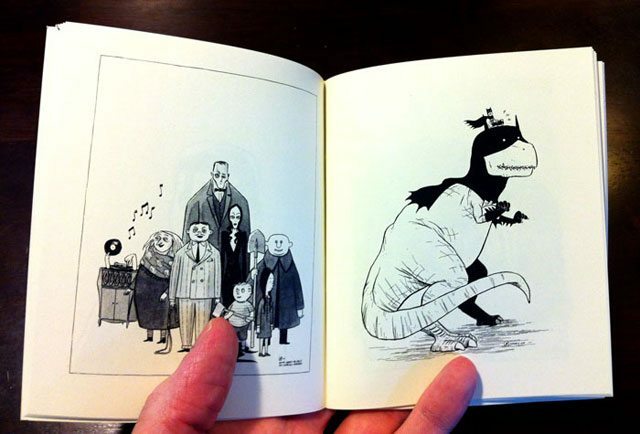 Pages from Dustin Harbin’s Small Drawings. Photo courtesy of Dustin Harbin. Harbin, a North Carolinian cartoonist, finds all things Canadian delightful, so be sure to ask him what his collection, Small Drawings, is all aboot. Since he became a full-time cartoonist a couple years ago, Harbin’s work has markedly improved, and it shows in this work. Small Drawings is a collection of one-hour commissions, so some are more raw than others, but they all have a sense of fun to them (even if Harbin drew them while watching Breaking Bad in the background). The subject matter varies quite a bit, from sketches of the main characters in To Kill a Mockingbird to a castle overlooking a cliff. Together, it all makes a nice collection at an affordable price. There have been plenty of libertarian-minded cartoonists, including Harold Gray, Steve Ditko and Maandag’s mentor, Chester Brown, so it’s fitting that there’s now a comic about a small-government-minded ideologue. The main character in Maandag’s The Libertarian would have made Ayn Rand proud—that is, until he crushes on a vegan feminist who turns his world upside down and forces him to see things in a different light. Do you like cats? Of course you do, you’re on the internet. 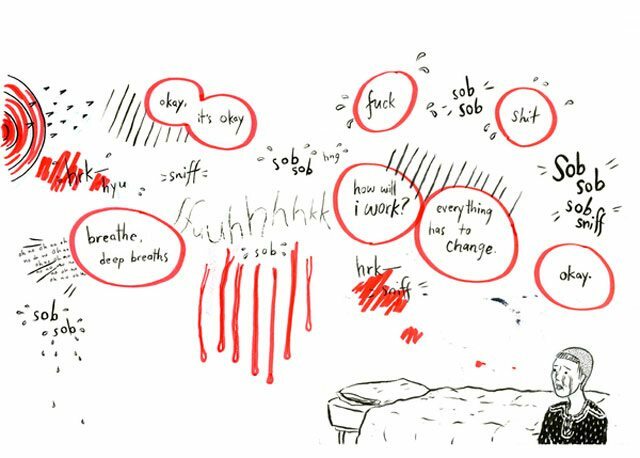 Cartoonists like cats too, and Toronto-based cartoonist Katherine Verhoeven made a short mini-comic to prove the point. Day of the Gib Cats is light on words, but heavy on lush colouring and nice movement from panel to panel. It’s a real treat to look at. It comes with an attractive-looking yellow band over the cover, too. The Wonderdick magnet. Image courtesy of Mike Winters. If you feel like your household appliances show a disgusting lack of support for psychogeographic strolls and urban ennui, then Winters has the solution for you. As the cartoonist behind Cartoon Machine, Winters’ most famous creation is Wonderdick, the Twitter-loving, scarf-wearing urbanist who finds profundity in the most banal observations. 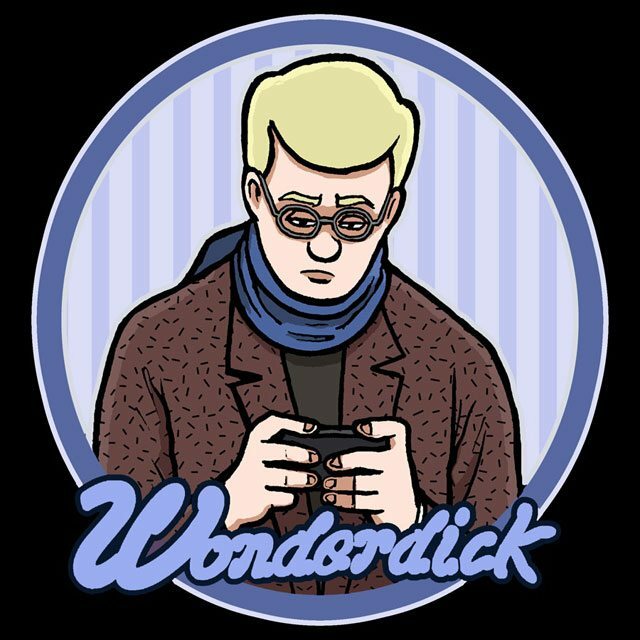 Winters will be selling Wonderdick fridge magnets. Buy one, and be inspired to turn your fridge-poetry set into an urbanist tract. If you see a booth with a long lineup and a man with wild hair doing sketches, you’ll know it’s Manale’s. For the past couple TCAFs, the Toronto-based cartoonist has provided what he calls “low-cost, low quality” caricatures for a toonie. It’s the best deal at TCAF 2013, and you’ll want to get in line before the inevitable hand cramp sets in.